Arsene Wenger has confirmed the birth of a fresh injury worry to a very vital player in the Arsenal team. It is Per Mertesacker who is the affected one. The Arsenal captain has not featured in any game for Arsenal after sustaining a knee ligament injury in a pre-season friendly match with Lens back in July. He has since undergone his rehabilitation programme, hoping to make a return to the first team but the BFG will have to stay a bit longer. Per was scheduled to make a comeback to the pitch in early January after resuming training with the rest of his teammates last month. The story has now changed with Wenger claiming that he will be out for another three to four weeks having suffered a setback. 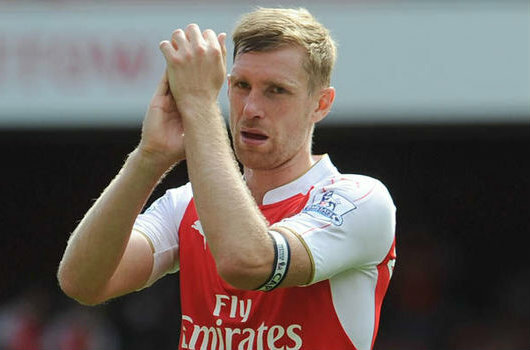 Asked if Mertesacker was close to making a return, the boss said: "No. He had a little calf problem. He’s on the pitch but not close. He’s still three or four weeks away, not more." This new development will not go well with the club captain who has been striving to appear in Arsenal colours once again. The good thing is that we've got Koscielny, Mustafi, Gabriel and Holding all available for the central defence slots.